I'm not in a writing mood. I've had a lot of spare time in front of my laptop during teaching and tutoring today so in lieu of writing, I've been entertaining myself with some random internet searches. 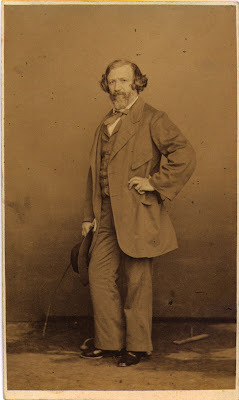 I was fascinated with Robert Browning for years, and there was a period when I read everything I could find about him, including a collection of his letters. I looked up some of his poetry today. This is a poem that almost everyone has read at some point, I think. The premise is sick (not in a good way) but there's something about his writing that makes me wish I could meet him. You know that question . . . if you could invite any eight people, living or dead, to a dinner party, who would you assemble? Browning would definitely be at mine. I think he would really enjoy his visit with Oprah, Bob Marley, Anais Nin, Jimi Hendrix, John Lennon, Che Guevara and Frida Kahlo (on second thought . . . Oprah might be a little bit of a wet blanket at that gathering so I might replace her with Helen of Troy, just for party dynamics). I really like this second poem except for the last two lines, which are totally cheezy. If I could write like this, I would be describing things 24/7. Porphyria's Lover was *so* one of my favorite poems in English Lit in high school ... Nice to re-read it.